After lagging their large-cap counterparts for most of the past few years, small caps are back in the lead again. Using the Vanguard ETFs as proxies, small-cap stocks have doubled up the performance of larger stocks in 2018. Why have small caps started performing better, especially in the last month? Part of the reason is tensions overseas. Struggles in the eurozone, particularly in countries like Turkey and Italy, along with a potential trade war, adversely affect multinational companies more than smaller companies, which tend to be more domestic. Corporate tax cuts also tend to have a greater proportional benefit for smaller companies, and the stronger dollar has had less of an impact than on those companies that do a bigger percentage of their business globally. Vanguard Small Cap ETF (NYSEARCA: VB): This is your generic ETF that would provide broad coverage of the small-cap market. Like most Vanguard ETFs, it’s one of the cheapest products in the marketplace with an expense ratio of just 0.05%. If you want to tilt towards growth or value, there’s also the Vanguard Small Cap Growth ETF (NYSEARCA: VBK) and the Vanguard Small-Cap Value ET (NYSEARCA: VBR), which charge a modestly higher 0.07%. 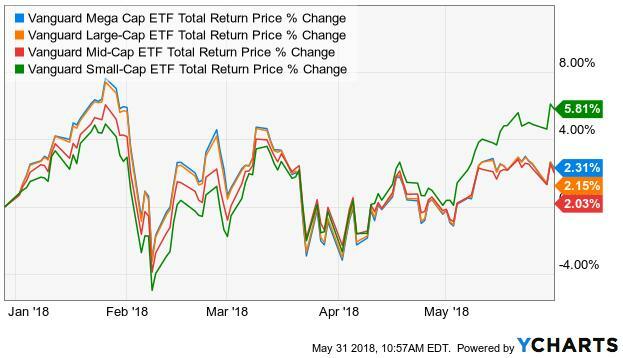 PowerShares DWA Small Cap Momentum Portfolio ETF (NASDAQ: DWAS): Momentum investing has become all the rage if you’re looking to factor-tilt your portfolio. The iShares Edge MSCI USA Momentum Factor ETF (BATS:MTUM), the largest momentum ETF, has grown from about $2.5 billion in assets to nearly $9 billion in just the last year. Momentum investing in small caps has performed very well, with DWAS returning 32% in the past year. WisdomTree Small Cap Dividend ETF (NYSEARCA: DES): This is a nice option if you want to stay on the more conservative end of small-cap investing. DES targets the high-dividend paying segment of the small cap market, so you ultimately get more exposure to profitable companies that like to reward shareholders. Since it targets yield, you get heavier exposure to areas, such as industrials and consumer cyclicals, but, somewhat surprisingly, not so much to utilities. It has a current yield of 3.5%. O’Shares FTSE Russell Small Cap Quality Dividend ETF (NYSEARCA: OUSM): This fund, run by Shark Tank bad guy Kevin O’Leary’s firm, is similar to DES, except it focuses on financial strength and low volatility in addition to yield. 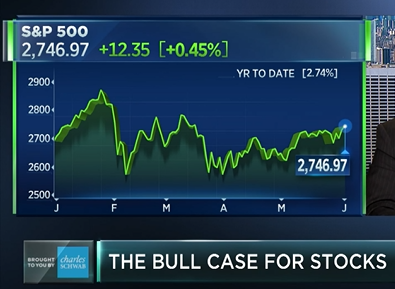 The quality focus helps target profitable companies with strong balance sheets, while the low-volatility screen helps weed out companies that may have experienced large price declines recently. It has a yield of around 3%. Oppenheimer Small Cap Revenue ETF (NYSEARCA: RWJ): Instead of traditional market cap weighting, RWJ weights by annual revenue. This helps go after companies that are a true sales generators and doesn’t depend on market sentiment to weight its components. This helps produce a more value-oriented fund that’s heavily invested in industrials and consumer discretionary companies.